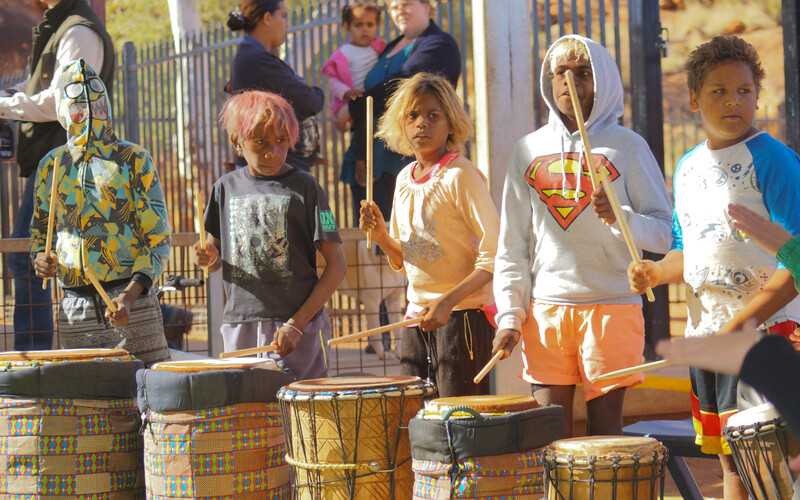 The duo from Ba-boom shaking the ground of Mimili community with their funky beat’s enjoyed by the whole community . 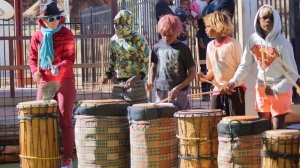 Ba-boom visited Mimili during August and showed the kids how to play the drums. For more information click this link. http://ba-boom.com.au/ The visit coincided with Minister Scullion’s and the Yankunytjatjara dictionary digitisation handover. 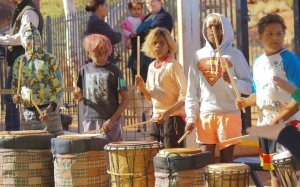 The kids enjoyed every minute and every second of their performance, making loud noises in front of the community. Py-media recorded a film about it the day and have produced a copy for the website. The film was edited by Caro Macdonald and will be uploaded to our website soon.